Home> Resource> Android Backup> Motorola Apps Manager - Manage Various Applications of Your Motorola on Computer without Hassle. There was experimentation several months ago. There were dozens of people who were selected randomly in the experiment and they were told not to use the smart phone as long as they can. The final result is that almost half of the participants cannot bear the time without smart phone so they gave up and began to use the mobile phone within 6 hours. The rest of the participants did not keep up for over one day. And many of the participants admitted the they felt lost and nervous when they cannot use the smart phones. It is admitted that the smart phones have become an indispensable part of our life, which can be proved by the experiment. But why the smart phones have the magic power that lure everyone to stare at the screen anytime and anywhere? Various applications can be one of the important reasons. For example, media players in the Android phones enable the users to listen to the songs or watch the videos. And the weather app can remind the users to take the umbrella in the next day and map app can direct people to the right destination even in the strange city. However, you may also find that it is troublesome to manage all those applications. 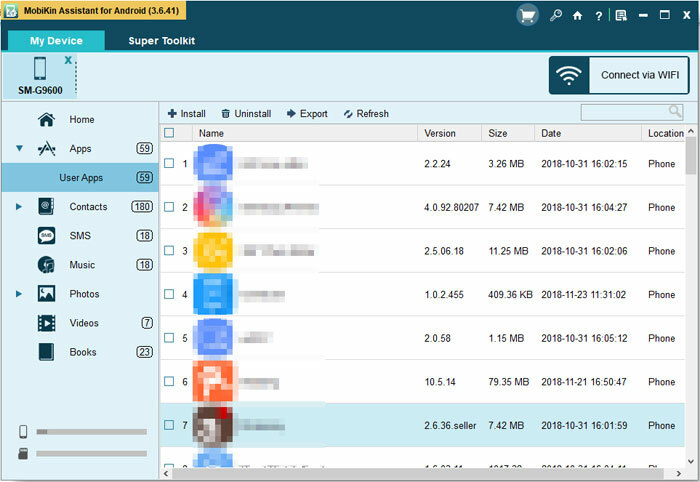 So here we will recommend you a practical software - MobiKin Android App Manager (Windows/Mac), which allows you to manage all the applications installed on your device. You are able to install, uninstall or delete applications on computer with no hassle if you use the software. What's more, the files it can manage include not only the apps but also the contacts, SMS messages, photos, music, etc. 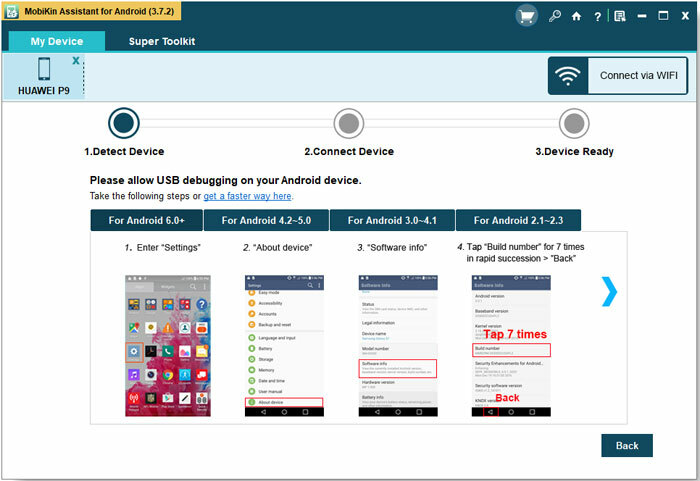 The software can support all brands Android devices like Motorola, HTC, LG, Samsung, Sony, Nexus and so on with a high compatibility. The software is completely clean without any advertisements, viruses or other malware. Now, just click the below icons to get the free trial on your Windows and Mac computer, and then follow the below tutorial to see how easy the program works. By the way, the tutorial will take the Motorola phone as the example and actually the managing processes are similar to this one. How to Manage Motorola Apps on Computer? Then the software will detect the connected device and scan the files in it. You will see an interface like this with many options list on the left panel. You can manage the apps with the options on the top panel. - Install: Install new apps on your device. - Export: Transfer apps to the computer. - Uninstall: Delete apps that are installed on your device.